Our homes carry memories and offer comfort from the outside world. It can be hard to imagine making changes to rooms that bring to mind special occasions and shared family times. But what do you do when you’ve hit the point where your home’s current set-up or layout is no longer working for you? We can help. Those changes that can seem so daunting to a homeowner are the types of projects we work on every day. You could say understanding the challenges of home remodeling design is part of our firm’s DNA. 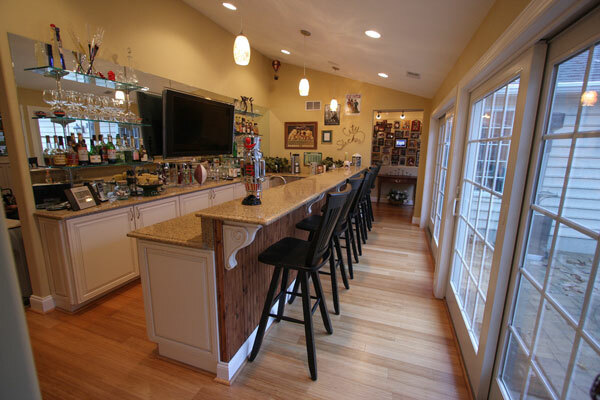 Our home remodeling design experience is unsurpassed, not only in the southern Chester County area, but in the industry itself. Our attention to detail and emphasis on the structural and architectural integrity of your existing home is designed to make any home remodeling project we do an enjoyable process for the homeowner. Our “Built By Design” process provides you with great personal service and high-quality design and construction. We believe the design/build approach is the smart choice and we’d love to meet you and discuss your ideas and needs.